Availability:: Be the First! pre-order now! 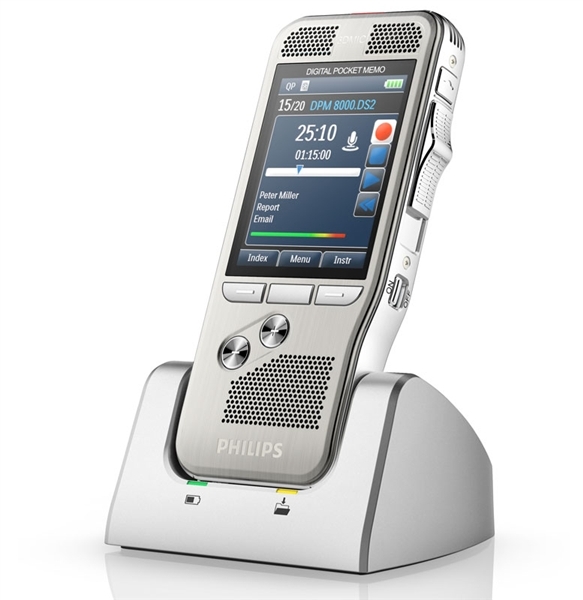 The Philips Speechmike Premium Air is a studio quality wireless microphone designed for speech recognition applications. Enjoy the benefits of the SpeechMike premium, but without the constraints of a cable. Enjoy the most flexible desktop dictation microphone ever created. The SpeechMike Premium Air comes with a decoupled studio quality microphone, a built-in noise reduction pop filter and a motion sensor for clearest recordings and most accurate speech recognition results. The decoupled microphone cuts down on noises associated with handling the microphone and pressing buttons, a concern other microphones do not take into account. The microphone grille is specially designed with hexagonal openings which allow 3X more sound to reach the microphone than its predecessor, engineered to provide crystal-clear recordings. uncompressed wireless recording enables free movement and pacing while working. You can easily move up to 10 m away from your workstation. The cutting edge technology ensures recordings are transmitted to the computer and highest quality and security-without any interruptions. the innovative docking station provides wireless high-speed charging. Easy and instant pairing between your SpeechMike premium air in the docking station ensures maximum ease-of-use. Users can be flexible and work with various docking stations in different places. With an optional foot control connected, the docking station enables hands-free recording. Order additional docking stations to place at multiple workstations, easily hop from one workstation to the next with quick pairing. Pairing is as easy as docking the SpeechMike for about one second. the powerful built-in lithium ion battery ensures up to 15 hours of reliable recording time. The battery can easily and wirelessly be fully charged in less than 3 hours, using the included docking station. Since there are no connectors, you never have to worry about a dirty or worn out charging contact. The SpeechMike Premium Air was designed with a housing and buttons with antimicrobial synthetics that work against a wide range of different micro organisms such as bacteria, viruses, fungi, or algae. The polished, high quality pearl metal surface also makes the device nonsensitive to touch noises and fingerprints. The device comes with a built in mouse touch sensor. This allows the user to easily control and navigate within applications while recording, without having to switch between the mouse and microphone. the SpeechMike premium air has a freely configurable set of function keys. These are useful for programming speech recognition commands, hot keys and many other applications. SpeechMike offers a wide range of advanced features you won’t find in many other wireless speech recognition microphones. 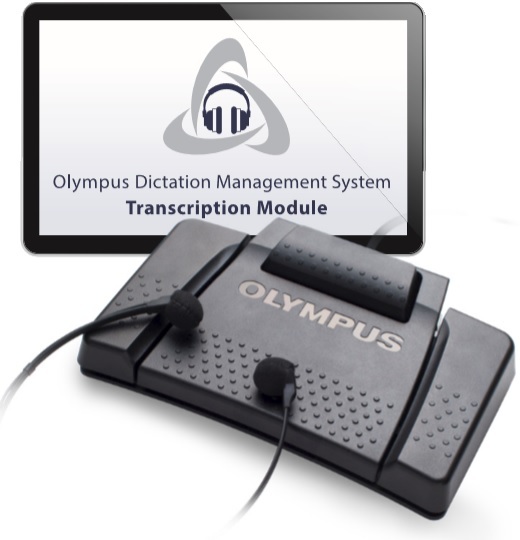 You’ll be able to record your dictation with greater speed and flexibility than ever! The mic’s grille features a unique hexagonal shape that maximizes the amount of sound picked up by the device. When combined with the decoupling, you get the clearest possible recording result that is free of distracting background noises that inhibit sound quality. The fast pairing between the wireless microphone and the technologically advanced docking station makes it easy to maintain a full battery charge so the mic is ready to go whenever you need it. Some users also order the optional foot control so they can keep their hands free while recording dictation. You can also order multiple docking stations for quick, convenient pairing throughout the workplace. You can complete the entire pairing process in a second or less! Cable-connected and even low-quality wireless dictation equipment do not enable you to stray very far from your desktop or workstation. With the remarkable transmission capabilities of the SpeechMike Premium Air, you can still enjoy exceptional recording quality at up to 10 meters. You’ll be able to experience secure, nonstop recording along with maximum freedom of movement. The Premium Air enables you to move within applications without having to continuously navigate between the mic and mouse. The integrated mouse sensor makes controlling the microphone’s multiple functionalities a fast, easy process. If you’ve ever experienced the frustration of losing power during dictation, you’ll appreciate the long lifespan of the all-new lithium ion battery. Enjoy up to 15 hours of uninterrupted recording on a single charge, which is probably enough juice for even your marathon dictating session when the ideas are flowing. You can also fully recharge the battery with the docking station in three hours or less. If you’re a medical professional, you understand the importance of hygiene in a hospital or clinical environment. The SpeechMike Premium Air features buttons and a housing made from antimicrobial materials that resist many types of bacteria, fungi and other potentially harmful substances. You’ll be able to use it in a patient setting with total peace of mind. This Philips wireless microphone for speech recognition applications includes configurable keys that allow you to program the device to create a customized workflow. This will also make it easier to perform repetitive tasks, which will save time and increase your productivity and efficiency. The SpeechMike Premium Air can work the way you work!